Huawei Classic Titanium Smart Watch – The Huawei Classic is one of the flagship Android Wear 2.0 smart-watches. Built-in GPS, continuous heart rate monitor, wireless payment and it looks stunning. Bose SoundSport Wireless Headphones – The Bose SoundSport wireless headphones are great for everyday use. They have been designed to be sweat and weather resistant and have an average battery life of 6 hours. Rocketbook Everlast Smart Notebook – Write down your notes on the Everlast Notebook and scan them into your phone so have back copies when you need it. The Pages are also reusable with a simple wipe with a damp cloth. 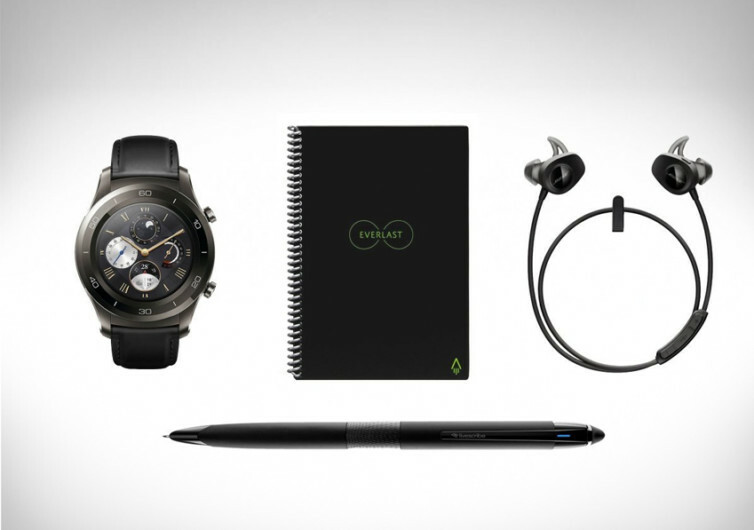 Livescribe APX Echo Smart Pen – Livescribe is known for crafting the smartest pens in the world. It records what you write and can also record audio so if you are taking notes at a meeting or seminar you can refresh your memory later on.